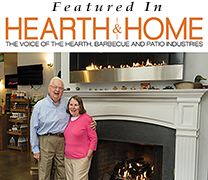 The area’s best selection of pellet fireplace inserts, wood inserts and gas inserts is at the Yankee Doodle Fireplace & Stove store near Shelton, CT. With easy access to homeowners residing in Ansonia CT, Milford CT, Monroe CT, Trumbull, CT and Wilton, CT, you will find a wide inventory of the latest gas, wood and pellet fireplace inserts for every room in the home. Our knowledgeable team is available to help homeowners choose the best heating appliance for their application, answer any questions and arrange for delivery and professional installation. 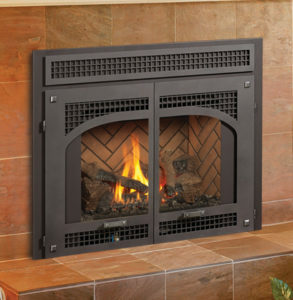 Fireplace inserts are self-contained heating appliances that fit right inside an existing fireplace. 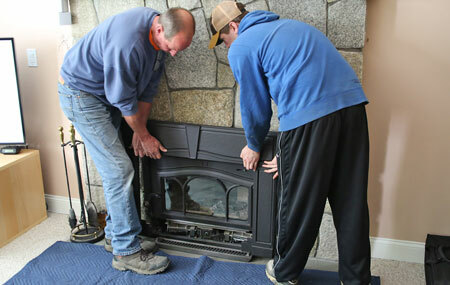 This makes upgrading your fireplace a quick, easy and affordable home improvement project. Many of our models feature remote control operation and an adjustable thermostat that make it super convenient to maintain the desired comfort level in any room in your home. Maintaining a traditional wood fireplace can be a drag. But our EPA-certified pellet fireplace inserts take the wood-burning experience to a whole new level. Simply pour in a bag of premium wood pellets into the hopper, set the desired temperature then sit back and enjoy the warmth of the hearth. The hopper will automatically drop pellets into the burner to keep the fire going. And wood pellets are eco-friendly. They are made of compressed sawdust for a low-moisture, continuous burn with virtually no waste. With less creosote, smoke and soot, pellet inserts are easy to clean and maintain. 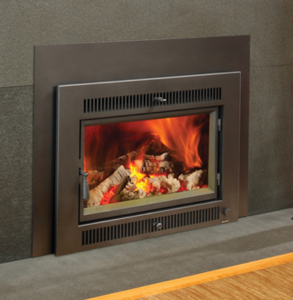 A pellet fireplace insert requires minimal electricity for the automatic hopper, but the reduced heating bills more than pays for itself. With most of the heat escaping through the chimney, traditional wood fireplaces are the least efficient method for heating homes, according to the EPA. Fortunately, there is good news for homeowners that crave a traditional fire burning experience. Our new EPA-certified wood inserts have an up to 80% heating efficiency rating. They burn cleaner with much less creosote, soot and smoke too. A built-in fan blower forces the heated air into the room making it an excellent supplemental heating solution. Gas fireplace inserts give homeowners the best of both worlds: The traditional ambiance of an authentic fire, with the convenience of push-button operation. And since gas is among the cleanest burning fuels, there is minimal creosote and virtually no soot or smoke making gas inserts extremely easy to maintain. We offer the latest selection of gas inserts in a variety of appealing sizes, styles and designs that will complement any room or home. 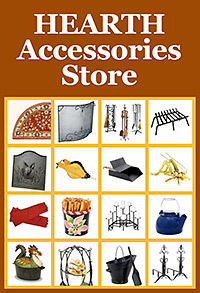 We also have a variety of faux logs and accessories to customize the appearance of your fireplace. 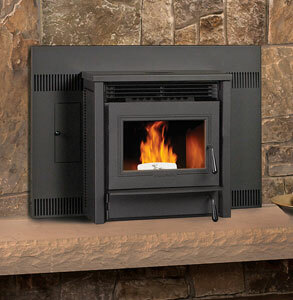 Visit the Yankee Doodle Fireplace & Stove store for the area’s best selection of pellet inserts, wood inserts and gas inserts. 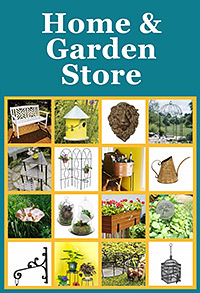 Our store is located near Shelton, CT in Wilton, Connecticut. So, whether you live in Ansonia, Bridgeport, Milford, Monroe, Woodbridge, or anywhere in the Fairfield County, CT area, make the short trip to see our great selection of inserts and get help from our friendly and knowledgeable staff.